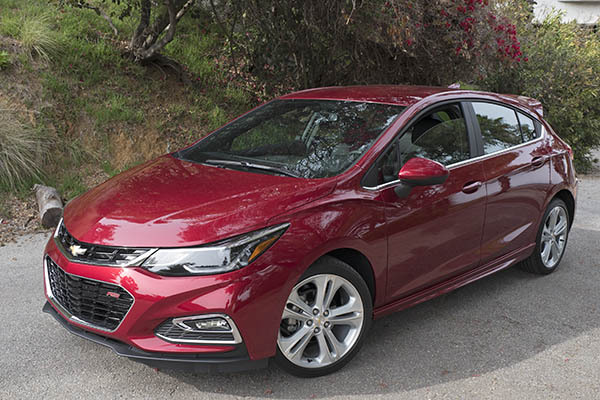 The current Chevrolet Cruze is still a nice looking car. 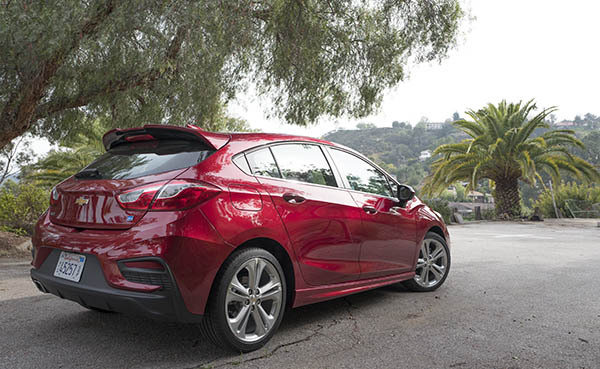 But I think the hatchback looks much better still. GM did a great job designing the 5 door version of this car. 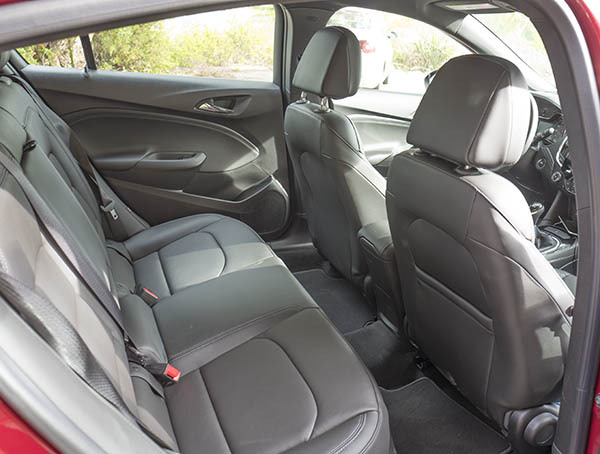 Inside, things are exactly the same as in the sedan. Which means everything looks and feels nice and solid. Except for too many shiny/fake chrome plastic bits for my taste. It would be easily fixed with a more satin finish. Like what VW and many other brands now use. 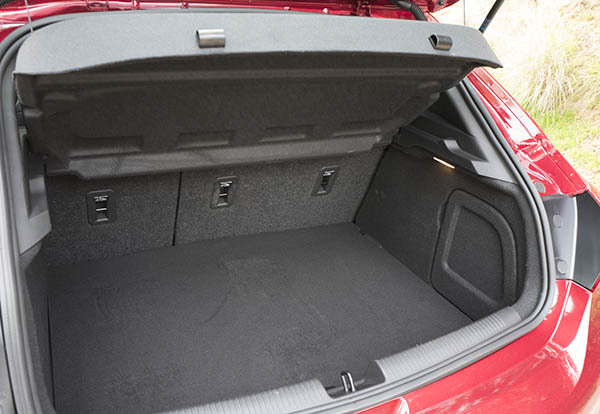 The back seat is not "Jetta Huge" but there is plenty of space for at least two adults. The 18 inch wheels on my test car look fantastic. They are part of the standard RS package. First of all, the diesel is surprisingly quiet. I guess it's not that much of a surprise, since VW diesels were also pretty quiet. But this one seems even better. And the little noise it makes sounds great anyway. A bit unfortunate since it means freeway driving at around 65/70 MPH is a bit noisier than it could be. The ride is slightly firm, but always very comfortable. The steering is quite nice, with more feel that most other small cars. And everything feels very solid in general. The 6 speed manual is great. Super smooth and easy to use and with a very forgiving clutch. 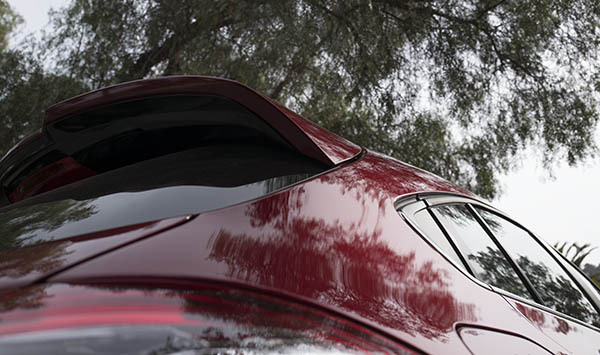 The Cruze diesel is rated at 29/48 MPG. I did about 32 in the city. And 49 HWY. Which pretty much matches the official numbers. But my gas mileage with the regular version I drove a while ago was 28/45. Which was better than the official numbers of 30/40 for the 1.4 L Turbo. So there isn't that much of a difference. 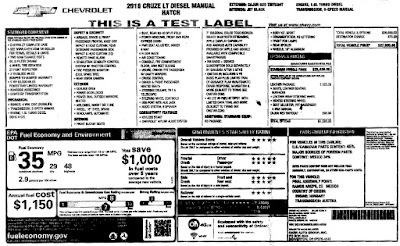 It is hard to figure out from the Chevrolet site (since the diesel is not available in base trims), but it looks like the diesel is about $2000 more than the gas model. So it will be pretty tough getting that money back with what you'll save at the pump. But what you are getting , is a car that is actually more fun to drive. A quicker too. So I see the diesel as a sportier option. While the "slightly" better gas mileage is a bonus. My test car was loaded. Except for the automatic. The only options were the $1125 leather package and the $395 "Cajun red" paint. (2 things you could do without). I would definitely recommend the Cruze hatchback diesel for anyone looking for a fine to drive and super practical compact car. I had a blast driving mine for a week. 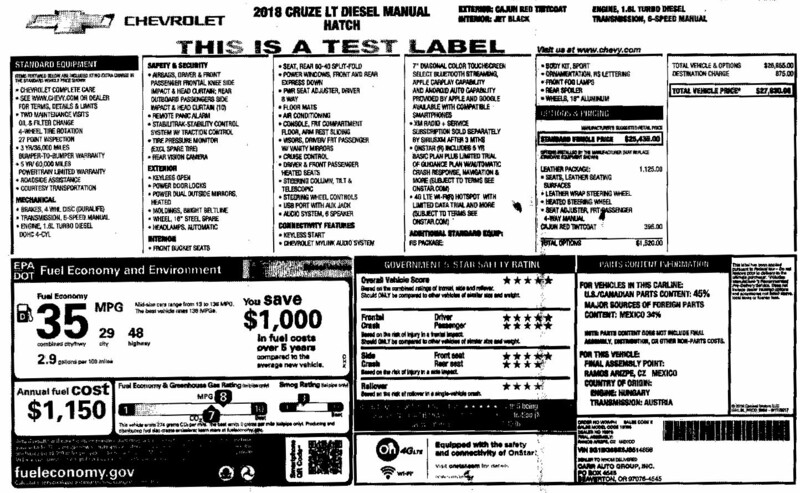 Click on this to see the actual pricing on the car I was test driving. 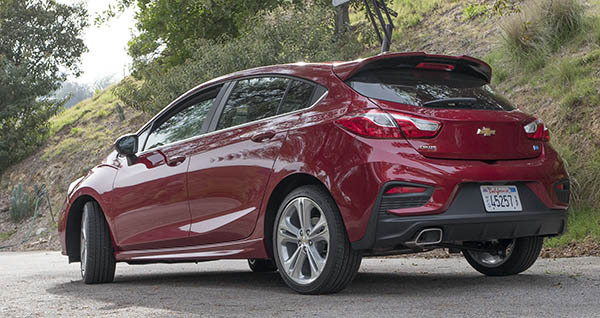 And head over HERE for more info about the Cruze in general. No point for its existence. They would be better off with a turbo model to keep things simple and stupid. Correction: You state the automatic is "only" $500 more on the diesel. 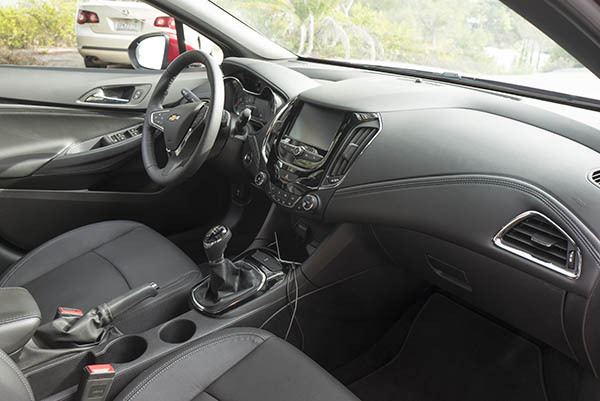 You are not taking into consideration that the "RS" package (including the 18" wheels you liked, is standard on the manual transmission Cruze diesel. The "RS" package is a $1245 option on the diesel automatic. So $500 + $1245 gives you the actual automatic transmission option price of $1745. Thanks for test driving this vehicle. I am going to check one out! Also, you discuss your mileage compared to the Cruze gasoline sedan you recently drove. Note that the vehicle you tested here has 18" tires. 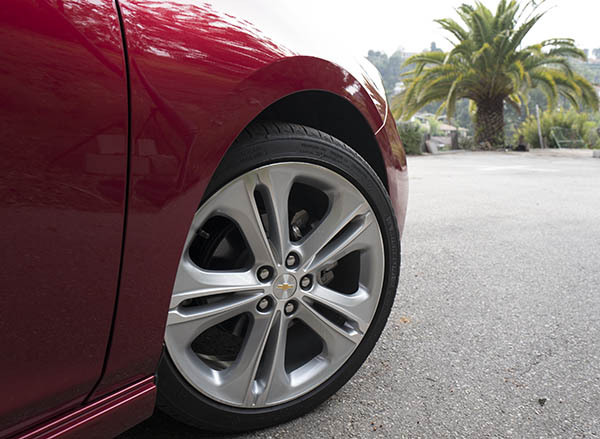 Chevy tests vehicles for MPG with the standard tire (16"). The difference between the two tires (18" vs 16")is about 7.1% in lower MPG. 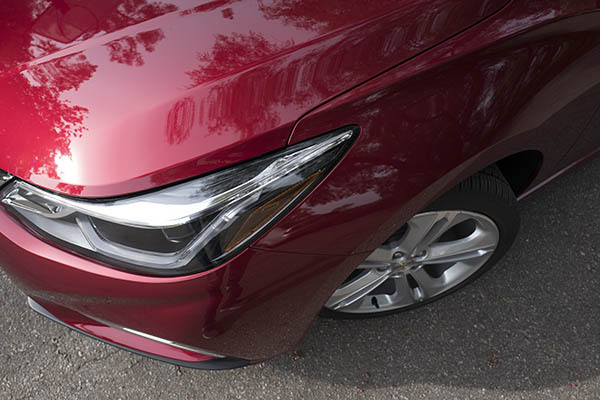 Thus if your sedan had the standard tires (16"), you have not given a fair comparison. With current diesel prices you probably are not saving any money at the pump. Especially in CA.